Boston 1775: Tour of the Revolutionary Mohawk Valley, 21 Sept. 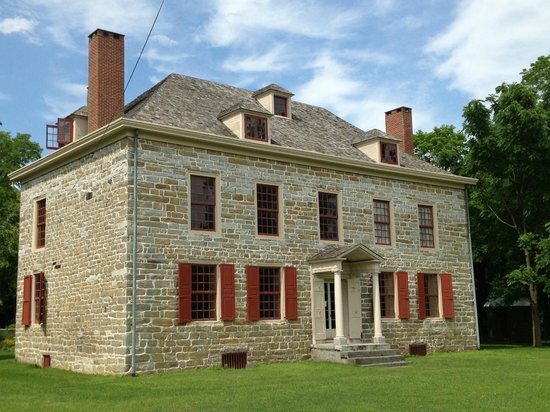 This tour will explore sites in the Mohawk Valley during the Revolutionary War; sites that are less frequently visited or on private property. We’ll stop at Fort Johnson for an overview of Sir John Johnson’s exploits as an important Loyalist leader in the Mohawk Valley. We’ll also see Guy Park, home of Col. Guy Johnson, superintendent of Indian affairs during the Revolution and hear about the efforts to reopen it as a historic site. We’ll visit the Fort Plain Museum to understand how the Patriots used forts and fortified homes to defend the valley. After lunch we’ll walk the Stone Arabia battlefield where Col. John Brown gave his life during Johnson’s Burning of the Valleys campaign in 1780. We’ll follow Johnson’s retreat to Klock’s Field where the British forces were forced across the Mohawk and eventually back to Canada. We will return to our departure location by 4 p.m. to allow you to participate in Fort Ticonderoga’s Friday evening program. In order to get off to an early start, America’s History LLC has booked a block of rooms on Thursday night at the Microtel Inn and Suites, 136 North Comrie Avenue, in Johnstown, New York. The tour bus will leave that hotel on Friday morning promptly at 8:00 A.M. The tour registration fee is $100.00, which includes lunch, snacks, and beverage breaks; all admissions and gratuities; a map and materials package; and remarks by tour leaders selected for their knowledge and expertise. The hotel room would be extra. Venter is an experienced teacher and tour leader specializing in the Revolutionary War period. He is the author of The Battle of Hubbardton: The Rear Guard Action that Saved America and is also Col. John Brown’s biggest fan.